Photographer David LaChapelle Sued By Ex-Boyfriend For $75 Million - Joe.My.God. 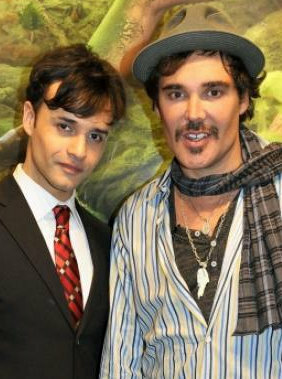 Renowned celebrity photographer David LaChapelle has been sued for $75 million by his former boyfriend/agent. David LaChapelle is accused of failing to pay his former business agent, Fred Torres, almost $25 million in expenses that he incurred over the years for processing LaChapelle’s photographs and selling them worldwide. The business agent also accused LaChapelle, an Andy Warhol protégé, of conspiring with his new exclusive sales agents at the Paul Kasmin Gallery to steal the client list and other confidential information from Torres’ firm, Fine Art Account Inc. Torres says the LaChapelle camp planted spies in his business last year to pluck the client list — which he says is worth at least $40 million. LaChapelle had sued first in a filing made three months ago. According to the above-linked story, the pair maintains separate apartments in the same Chelsea townhouse.